Visit Bellevue Beach and Hietaranta Beach for some beach relaxation. 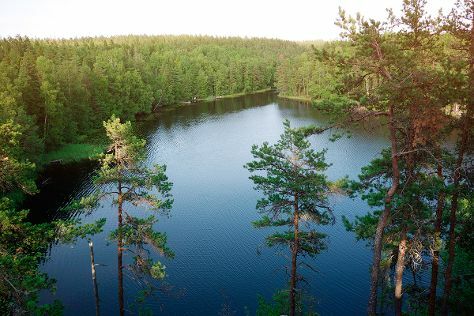 Get in touch with nature at Nuuksio National Park and Lehman. Explore Helsinki's surroundings by going to Teijo national park (in Pernio), Hiidenkirnut (in Askola) and Kotka (Riverside Park & Beach Mansikkalahti). Next up on the itinerary: learn about all things military at Sea Fortress Suomenlinna, take in the spiritual surroundings of Kamppi Chapel of Silence, admire the striking features of Rock Church, and make a trip to Senate Square. For ratings, other places to visit, maps, and more tourist information, you can read our Helsinki trip website .